WEBUZO is LAMP stack which is specially designed for the CLOUD. The goal is to provide solution providers with the ability to easily launch, manage, and maintain a number of popular application and development stacks for their customers. 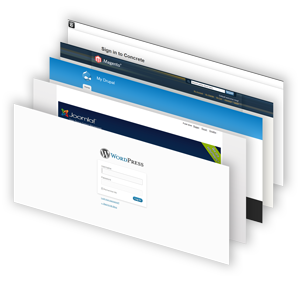 Softaculous Webuzo helps you deploy Apps like Zend Framework, WordPress, Drupal, MediaWiki, and Joomla on your server, virtual machine or in the cloud. 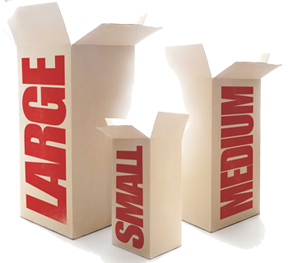 We have covered a wide array of Categories so that everyone could find the required application one would need to power their business. 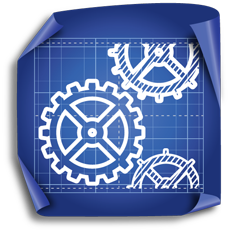 Webuzo enables you to focus more on using applications rather than maintaining them. Softaculous speaks the Language of the endusers. By having Softaculous accessible to potentially thousands of people across the globe, we have made it easy for non-English speaking users to search, install Web Applications and get the most out of Softaculous. 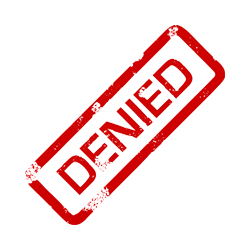 For many cultures there is an issue of trust when it comes to buying over the internet, especially if they feel it is in a language they are not fully proficient in. 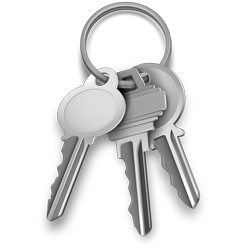 Offering them a language alternative allows our client to feel secure in the fact they know what they are buying, how and from whom. Nothing can be simpler than having yourself purchase a Cloud server, grab a server management tool and deploy your favorite application to your server at just a click of a button. Webuzo makes it possible. With our powerfull Webuzo Cloud Launcher you can deploy n number of applications over the AWS Amazon Cloud - reduces headache of purchasing a server. 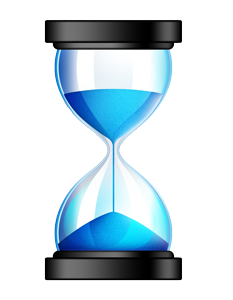 Pre-built Webuzo tempates are ready-to-run applications simply need to be booted and have your Webuzo Server tool up and running in a blink. Phew!! Webuzo has built-in Softaculous which keeps you stress free when it comes to deploying application on your server. Instances launched with the Webuzo Cloud in collaboration with the Amazon Cloud are highly scalable and flexible. Manage your instances (start/stop/restart) and also scale your instances to increase/descrease your instance size so as to suit your needs and benefits without affecting your current work conditions. The AWS console provides a great deal of fucntionality to manage your instances over their full-fledged cloud environment. With every new version release the Webuzo Team innovates and integrates new features. 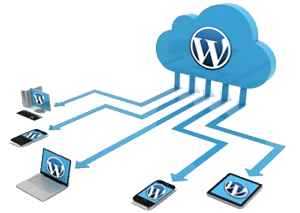 These features are designed to make the workflow for the Users and the Web Hosts perform efficiently and with ease. 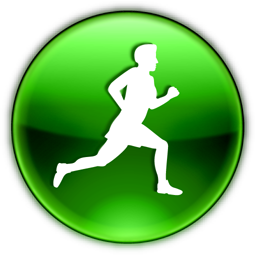 These features also automate most of the tedious processes. These updates also contain patches, Bug Fixes and Security releases along with them. Webuzo updates have the flexibilty of getting updated automatically via the CRON or the Webuzo Admin can manually Update it. Apache Tomcat: Apache Tomcat is an open source web server and servlet container developed by the Apache Software Foundation (ASF). Tomcat implements the Java Servlet and the JavaServer Pages (JSP) specifications from Oracle Corporation, and provides a "pure Java" HTTP web server environment for Java code to run. 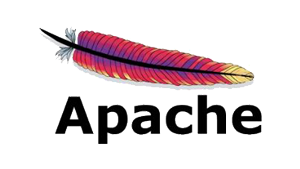 Apache: The Apache HTTP Server Project is an effort to develop and maintain an open-source HTTP server for modern operating systems including UNIX and Windows NT. The goal of this project is to provide a secure, efficient and extensible server that provides HTTP services in sync with the current HTTP standards. MySQL: MySQL officially, but also called is the world\'s most used open source relational database management system (RDBMS) that runs as a server providing multi-user access to a number of databases. SQLite: SQLite is a relational database management system contained in a small C programming library. 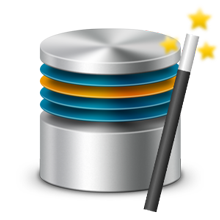 In contrast to other database management systems, SQLite is not a separate process that is accessed from the client application, but an integral part of it. MongoDB: MongoDB is an open source document-oriented NoSQL database system. MongoDB is part of the NoSQL family of database systems. Instead of storing data in tables as is done in a "classical" relational database, MongoDB stores structured data as JSON-like documents with dynamic schemas (MongoDB calls the format BSON), making the integration of data in certain types of applications easier and faster. 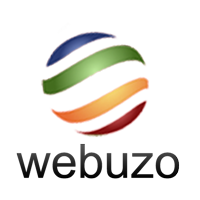 PHP: PHP is a general-purpose scripting language originally designed for web development to produce dynamic web pages. For this purpose, PHP code is embedded into the HTML source document and interpreted by a web server with a PHP processor module, which generates the web page document. It also has evolved to include a command-line interface capability and can be used in standalone graphical applications. Perl: Perl is a highly capable, feature-rich programming language with over 23 years of development. Perl runs on over 100 platforms from portables to mainframes and is suitable for both rapid prototyping and large scale development projects. Python: Python is an interpreted, general-purpose high-level programming language whose design philosophy emphasizes code readability. Python claims to "[combine] remarkable power with very clear syntax", and its standard library is large and comprehensive. Its use of indentation for block delimiters is unique among popular programming languages. With DNS-Named pre-configured in Webuzo stack, Domain management, DNS zonefiles, MXRecords managemnet has take a different turn altogether. Manage your domains (parked domains and subdomains) with ease followed by deploying applications over these domains with Softaculous suto-installer. Prioritize your MXEntries and performs various tasks with your DNS Zone Files. 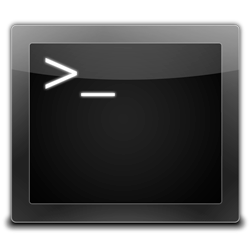 Creating databases and tables and user from the command line can be time-consuming and a tedious procedure at times. Webuzo provides a smartly designed Database wizard to create database/tables/users/permissions and similar other tasks. Database management is been taken care of in a much better way in Webuzo so as to comfort the users experience. Avoid the burden of FTPing to your server just to upload files of perform similar tasks. 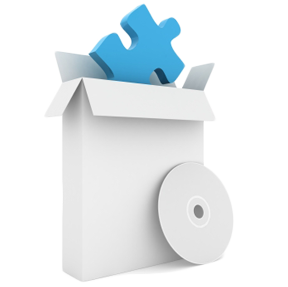 Webuzo File-manager provides a user interface to work with file systems. 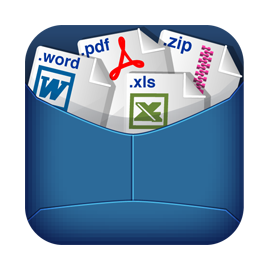 The most common operations performed on files or groups of files are: create, open, edit, view, print, play, rename, move, copy, delete, search/find, and modify file attributes, properties and file permissions. A Webuzo stack is a "ready-to-run" virtual machine that will get-set-go in minutes on any computing environment that supports virtualization. Our bundled stack is available for Free download and compatible with various forms of virtualization like VMware, Parallels, Windows, Xen, VirtualBox and Amazon EC2 Environment. These virtual machine are far benefial to the user in the development as well as production environment without restricting them to explore the service we provide. With virtualization serving in the development environment, deploying the same on one\'s production is far simpler. There are many a techniques to have your tools runninng on your productions servers. One of them is out installer for the CentOS servers. 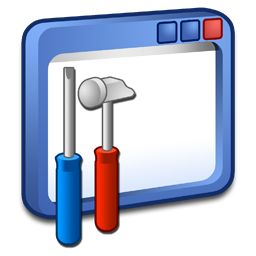 Simply download the installer file and run - Webuzo takes care of the entire installation process. Another better and simpler way of quickly-deploying over 260+ applications in a cloud platform like AWS Amazon is with our Webuzo Cloud Launcher. Sign-up with Amazon fror the Cloud services and Launch as many instances while you pay-as-you-go. Webuzo gives much faster updates of the scripts it maintains. At Webuzo, we understand that an Updates mean a much more secure script and better safety of the server. Also users benefit from the new features available in newer versions of scripts. We always try our best to make available the Updates ASAP!. Webuzo is also favoured with auto-upgrade facilty to reduce headaches. VPS owners can heive a sigh of relief. With our simple installer downloaded to your server, a simple command : root > ./install will put back all your stress to setup a LAMP stack and a server tool. 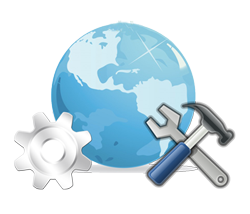 You have your server ready in a couple of minutes and you are all ready to serve as many sites you want with in-built Softaculous auto-installer. Grab your self a cup of coffee, you are all done - \'what can be more simpler\'. Webuzo allows Re-Branding, meaning you can replace the Webuzo Logo with the Logo of your Company or the Logo of your choice. To do this there is no need to FTP to the server or to modify files. You just need to put the URL of your Logo and save the Settings. Voila !! Its done. 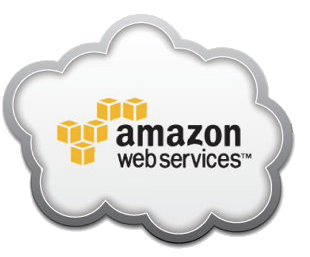 We have integrated Webuzo to the Amazon Cloud. It is simpler and easier to integrate into your private Cloud. Move files and folders up-and-down your server with your favourite FTP or SSH client of your choice. Webuzo helps you keep control over external SSH access to your server thus enabling/disabling SSH Access. 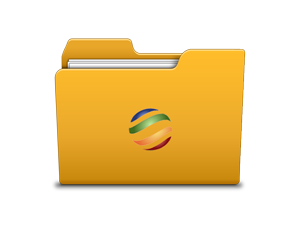 With FTP server installed and configured, Webuzo allows you to create and manage FTP users and restrict access to directories. 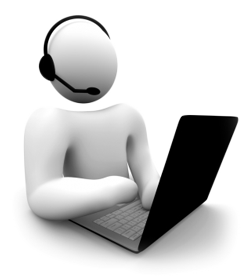 Webuzo has a great support team which works round the clock to provide the best customer satisfaction. Webuzo has extensive self-support options like documentation, knowledge base and community forum that are available 24x7. If you have queries related to out product, please mail us at sales[at]webuzo[dot]com. You can also get personalized support from the tech support team. If you are facing an issues related to Webuzo you can open a support ticket. Softaculous and Scripts updates are downloaded via a CRON process which runs automatically on the server. This reduces the server maintanence to zero. Before any Update the Software is very well tested. This ensures the smoothest experience and an exceptional performance. Softaculous always provides stable Updates and versions of a script.